On Saturday 10th June, the emotive. 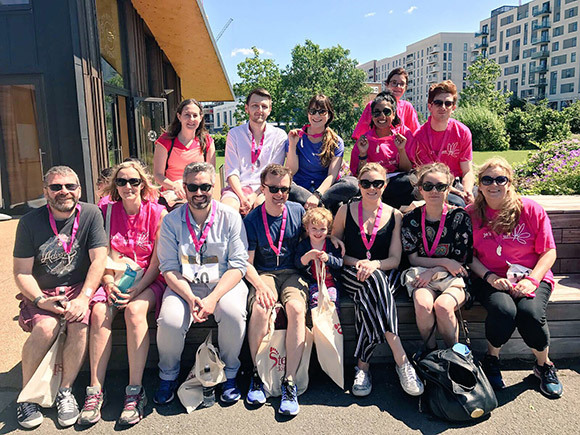 team put on their trainers and pink t-shirts to take part in Jo’s annual “Steps for Jo” 5K walk through the Queen Elizabeth Olympic Park in London. We are delighted to announce that we raised a total of £1000 through donations on our JustGiving page, and the team all had a fantastic time raising awareness for Jo’s Cervical Cancer Trust. You can find out more about Jo’s Cervical Cancer Trust and the work that they do at their website, including the Steps for Jo’s event and the upcoming Cervical Cancer Awareness week. To learn more about the other community & charity work we do, or how we drive engagement to change behaviour with our unique emotive. lab methodology, please email Adam Boucher (adam@thinkemotive.com) or call +44 (0) 207 148 0408.